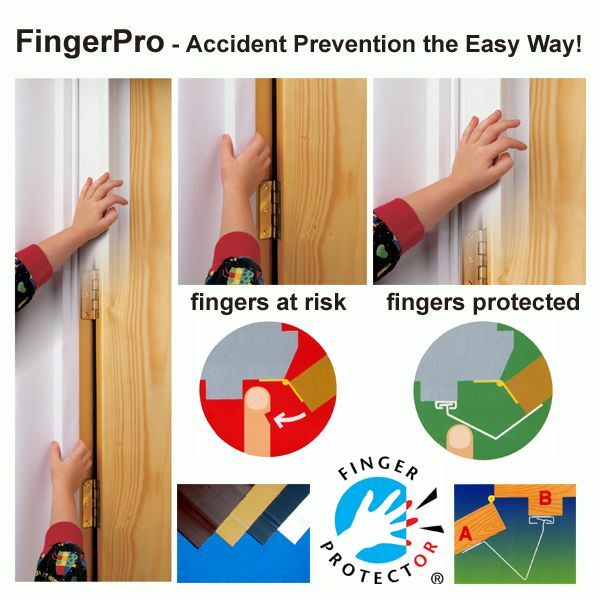 It`s estimated that their are over 40,000 accidents involving fingers being trapped in doors every year, many leading to months of painful reconstruction work or even amputation for the victims who are often children or the elderly. 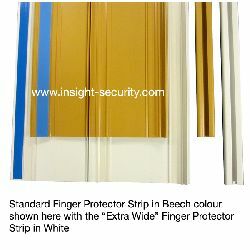 Accidental trapping of fingers in the door hinge cavity is however easily prevented by fitting our simple finger protector strip over the hinge cavity! 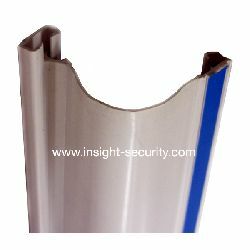 Clever design means that the units are suitable for use on All Types of Door (including Fire Doors and rising but hinge doors), from glass and aluminium to wooden units. 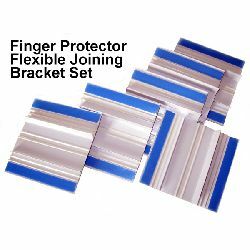 Our Finger Protector strips are available in a choice of popular colours; white, beech effect, mahogany effect, and charcoal (dark grey) ...to blend easily with your existing decor.